Creating a niche of PVC Laminated GI Sheets such as PVC Laminated GI Sheet and Designer PVC Laminated GI Sheets at its best, with utmost quality. We hold expertise in offering a wide collection of Red PVC Coated Aluminium Sheets in the market. Moreover, electroplating is used on its own for many outdoor applications because it is cheaper than hot dip zinc coating and looks good when new. 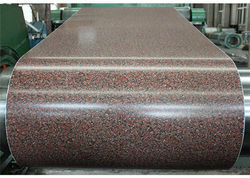 These sheets are admired for excellent finish and high quality. We are also offering these sheets in customized designs following the exact requirements of our esteemed clients. Apart from this, these sheets can be availed in customized specifications and patterns from us at pocket friendly price within the promised time period. We assure safe delivery of these products. Our organization is a well known name in this domain in providing a quality assured array of Designer PVC Laminated GI Sheets. Aluminium is remarkable for the metal''s low density and for its ability to resist corrosion due to the phenomenon of passivation. Moreover, structural components made from aluminium and its alloys are vital to the aerospace industry and are important in other areas of transportation and structural materials. The most useful compounds of aluminium, at least on a weight basis, are the oxides and sulfates. Manufactured with qualitative materials, these sheets are available at most competitive prices with us. Being a customer focused organization; we are engaged in presenting an extensive range of PVC Laminated GI Sheets to our valuable customers. Moreover, in highly acidic solution aluminium reacts with water to form hydrogen, and in highly alkaline ones to form aluminates protective passivation under these conditions is negligible. Also, chlorides such as common sodium chloride are well-known sources of corrosion of aluminium and are among the chief reasons that household plumbing is never made from this metal. 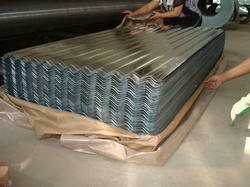 We are offering these sheets at leading industry price and within the promised frame of time. 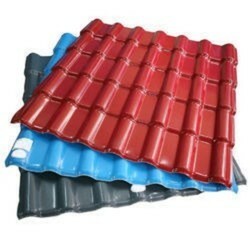 We have emerged as a well-established service prover in the field of laminating the galvanized iron sheets. Laminated with “New Fusion” PVC laminated G.I. Sheets have a wide demand in the markets. 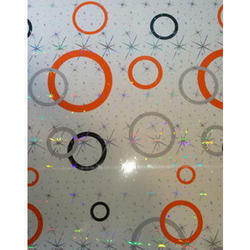 Availability of more than 20 colors and designs imparts to these sheets an eye catching look. Further, our PVC laminated G.I. Sheets are highly durable and can be laminated on both sides of sheets. We also welcome clients' customized orders and offer these services as per their demands. We are involved in offering the best quality assortment of PVC Laminated Aluminum and GI Sheets to our clients. Moreover, It can produce thicker coatings than conventional liquid coatings without running or sagging, and powder coating produces minimal appearance differences between horizontally coated surfaces and vertically coated surfaces. In addition to this, these sheets are available with us in different sizes, and eye catchy in look. We are offering all sheets to our patrons with perfect quality and fine finishing. These sheets are lightweight, safe to use and can be availed from us at economical price. Looking for PVC Laminated GI Sheets ?